Many Vermonters never knew it was here. But nationwide, the academic community is already feeling the loss of Ashgate Publishing, which, according to multiple sources, closed its offices at 110 Cherry Street in Burlington last week. That modest office suite opposite the Burlington Town Center served as the American arm of a company with its other office in the UK but its early roots in Vermont. According to its website, Ashgate produces about 800 books annually, "representing the best academic research from around the world" in the social sciences and humanities. Last July, The Bookseller reported that Ashgate had been acquired for £20 million by Informa, the multinational that owns trade publishing giant Taylor & Francis (owner of the popular Routledge imprint). On November 16, Julia Wright, an English professor at Dalhousie University in Halifax, Nova Scotia, tweeted a screenshot of an email she had received as the editor of an Ashgate series. "With regret," the message informed recipients that Ashgate's Burlington office would close on November 25. Its employees would no longer be considered Ashgate representatives, the message continued, and recipients of the email should direct further correspondence to the UK office, whose fate was still "in discussions." Soon after, a petition to "Save Ashgate Publishing" popped up at change.org, authored by Rabia Gregory, an associate professor of religious studies at the University of Missouri. It described the press as a "safe haven for scholars" and "urge[d] Taylor & Francis to reverse course immediately and restore Ashgate's US and UK offices." Roughly a week later, that petition was closing in on 7,000 supporters. It caught the attention of Inside Higher Ed, which on November 23 published a short piece called "Concerns Over Ashgate Publishing's Future." The author noted that Taylor & Francis had not responded to emailed requests for confirmation of the American office's closure. Seven Days has likewise not been able to obtain confirmation from the parent company, and a voicemail inquiry left at Ashgate's local office went unanswered. Employees of Ashgate's U.S. branch — who numbered 19 at last count — declined to speak about the company's current situation. But senior editor Seth Hibbert offered an overview of its history. Ashgate has its roots in the Brookfield Publishing Company, he said, established in that Vermont town in the early 1980s, which did distribution and marketing for international publishers. One of Brookfield's clients purchased the company and renamed it Ashgate in 1987. In 1999, Ashgate began commissioning new titles from scholars; the following year, it moved to Burlington to take advantage of the city's amenities. Since 2005, Ashgate's local desk editorial team has overseen the editing and production of the company's U.S. titles, as well as some UK books. "When it was fully staffed," Hibbert wrote in an email, that team "produced approximately 130 books annually." If the average reader doesn't feel the loss of an independent academic publisher, scholars do. In her tweet, Wright described the closure of Ashgate as "reducing diversity." And the company seems to have exemplified that: A glance at its roster reveals a wide variety of academic studies authored by professors all over the world. Recent prize-winning titles include The Arts of Imprisonment (an anthology exploring the intersections of aesthetics and criminology), The Islamic Villa in Early Medieval Iberia and Regulating Corporate Bribery in International Business. In an email to Seven Days, Wright called the fate of Ashgate "a huge loss to academic publishing in the social sciences and humanities. Scholarship relies on debate," she noted, and "independent publishers have often been at the leading edge of changing scholarly debate because they're freer to take risks." As an example, Wright cited This Bridge Called My Back: Writings By Radical Women of Color, a seminal feminist text that would give birth to the now-inescapable concept of "intersectionality." It was published not by a university press but by a small independent one called Kitchen Table. "Every time the large corporations buy a small publisher," Wright lamented, "there are fewer acquisitions editors, fewer book series and so fewer voices in the discussion about what is worth publishing." Wright said there is a "less-told story about Ashgate," too — namely, that it was among a number of small publishers that were known for their commitment "not only to quality academic books but also to respectful and caring workplaces." She added, "[T]hat is one of the reasons many of us liked working with the publisher — it was an ethical choice as well as a scholarly one." 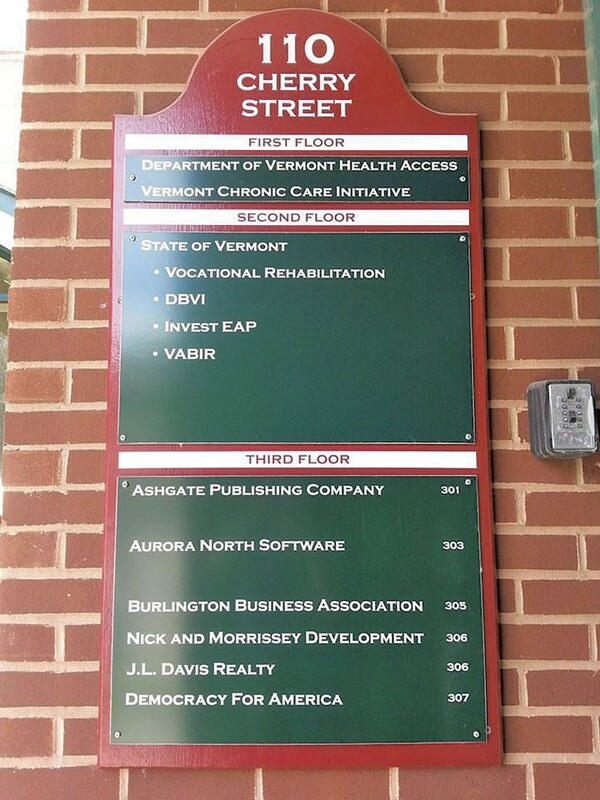 While a publisher may not be as visible a part of the local business landscape as, say, a restaurant or retail storefront, the loss of that choice is a loss to Vermont, too. The original print version of this article was headlined "The Demise of Burlington's Ashgate Publishing Inspires Widespread Concern — and a Petition"